You made me hungry.... Chalo let's go today!! I went to this place during my recent visit to Delhi. As much as I loved the food, the place was VERY dirty. There were rats inside these shops too. Freaked me out. Wow that was a wholesome post! 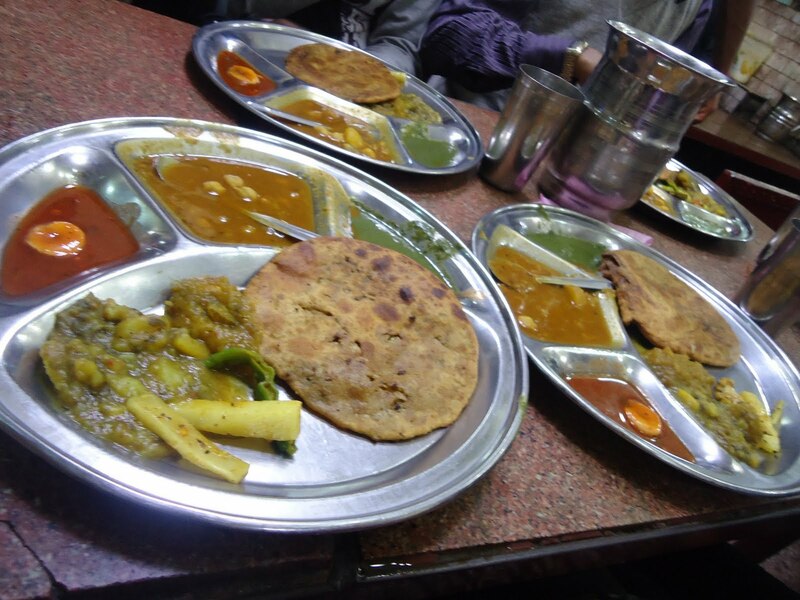 !Whether you were hungry or not ,you have made me hungry early in the morning with hose tempting pictures of parantha and its accompaniments.I was in Delhi for more than a decade but missed out this place. Your post reminds me of a visit I made there years ago when I was in Delhi on work. The atmosphere of the place is charming and it has an "old world time stands still" kind of image, Of course, I speak of a time some 20 + years ago. I don't know if things have changed for the better, or the worse. why why why did i miss going here... I was there ar Chandni chowk, but the crowd really scared me. Never seen so many people at one place. Wish I had atleast packed some.